Making a batch of Christmas cards that are the same is a great way of saving time this time of year. Also, these make really nice cards for a pack to sell or give away as a gift. I’ve used these stamps from Simply Made Crafts in a traditional way, but these stamps can also be used for a more contemporary style too. View the rest of 12 Days of Christmas 2018 HERE. 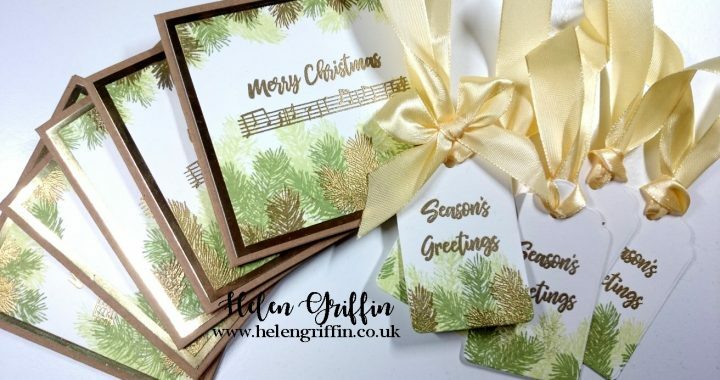 Posted in 12 Days Of Christmas, blog, Cardmaking, Christmas, YouTube and tagged christmas cards, gift tags, kraft, traditional.